Veep brought Hugh Laurie back into the series properly this week with the show going back to its old-school style, introducing a third player to the game to combat Jonah's stupidity. Both Selina and Tom have to do their best to get the support of a donor, Felix Wade, who has supreme power in picking the next president of the United States, eventually leading to the donor to look elsewhere in what could only be described as a classically brilliant Veep situation. Both Hugh Laurie and Julia Louis-Dreyfus take the Tom/Selina dynamic from one scene to the next, excelling as each try to one up the other. The slower pace than the frantic premiere made for some more reflective moments as the series explored its past whilst looking towards the future. During a heated conversation, Selina and Tom wonder where they would be if they were not in the middle of a presidential race as rivals, and it isn't long before old flames are restored and they end up kissing. But both agree it's not a good thing for them, and Tom leaves, only for Gary to walk in moments later, pretending to have only just found Selina when in reality he's been listening in all along. The series is continuing to throw another wrench in Selina's plans to become the president of the United States and Tom is proving to be a formidable rival. The title for our episode comes from the 16th Annual Discovery Weekend Welcome Chuckwagon at the Old Barn in Aspen Colorado, which opens Discovery Weekend. It isn't before Selina learns from Dan that the secret to Felix's heart is to drop the last two words of his sentence back to him, but even that isn't enough to win her the nomination. Tom continues to utilise multiple strategies to his advantage too, telling Selina that he's still in love with her only for her to fail in her speech when she's caught up with the recent news. Whether this was Tom's sole purpose or whether there's more than meets the eye isn't exactly specified in this episode, but it didn't end up mattering in the end and Tom's search for a nomination proved faultless. Keeping both characters on screen for much of the episode and reducing Felix's role, opting for quality over quantity, allowed his impact to be felt all the more. Interestingly he's not present when we first learn who he's picking - Selina is as confused as Tom when she learns that he didn't get the nomination, as Felix didn't pick her, his mind being indecisive until the very end credits. Meanwhile, Amy is doing her best to hiding her pregnancy from the rest of the team and is failing. Her attempt to pass off her puking as something dodgy that she ate leads Gary to suggest that it's bulimia, which earns Selina's attention until she finds out the real truth, and who's the father. Naturally, Selina doesn't shy away from going in as harsh as possible, proclaiming that she didn't spend her entire life defending a woman's right to choose so this could be what Amy chose. Amy's storyline continues to be one of the more unexpectedly emotional arcs of this season after the first episode as Dan continuously misses the point whenever he's around her, thanking her advice but misinterpreting it. His problems are of course, Dan-centred as usual, and everybody else comes second. Sam Richardson's Richard is still one of the highlights of whatever campaign he's with this week as Jonah's arc dealt with the show's own version of the #MeToo moment. Although out of all the characters Jonah was the best fit to be on the end of the #NotMe movement it feels like it's almost too rushed for the subplot of just one episode, as there is a lot going on and too little time to get the best out of it. 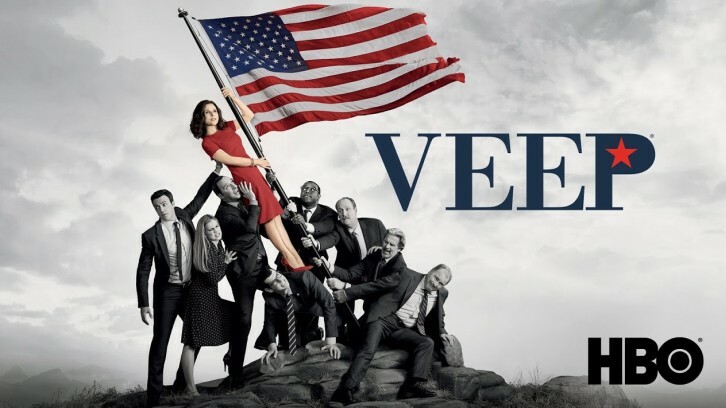 Veep may not quite have lived up to the standards of its excellent premiere but Discovery Weekend is still a good one. It wasn't without its own fair share of Sorkin-esque twists and turns, as we learnt more about Tom's relationship with his own version of Amy - played by Better Call Saul's brilliant Rhea Seehorn and the fact that he's cheating on his absent wife with her. As if the stakes weren't high enough already, there's now some extra added jealousy between Selina & Tom that should only cause things to escalate.